Do you enjoy your computer mouse and the internet? 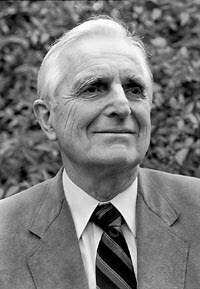 An electrical engineer and computer pioneer, Brother Engelbart is best known for inventing the computer mouse, and for his involvement in designing the earliest form of the internet at his lab at the Stanford Research Institute in Palo Alto, California. Brother / Captain Robert Urbana, U.S. Navy Reserve (Retired) (CO Beta / University of Denver ’52) was born on this day in Denver, Colorado. Bob joined the U.S. Navy at age 17 and graduated from North Denver High School in 1948. He went through the naval ROTC program and graduated from the University of Denver in December 1952 with a degree in business and a commission in the U.S. Navy. Brother Urbana served on active duty until 1955, but he continued his naval career as a reservist in Boise, Idaho. He retired in 1987 after 31 years of service. Today was the last day in office for the 55th Governor of Virginia, WWI Veteran / Governor / Congressman / Brother William Munford Tuck, U.S. Marine Corps (attended VA Delta / William & Mary and graduated from VA Epsilon / Washington and Lee University ’21). WWII Veteran / Brother Erling “Swede” Arnston, U.S. Army – Infantry (CO Delta / Colorado School of Mines ’52) died peacefully at home at age 79. Quick with a smile and comfortable with conversation, Brother Arnston had the qualities of a man who enjoyed life. He enjoyed reading and sharing poetry or a good story, and was always the first to figure out an innovative way to “fix” something. His days were filled with gardening, carving wooden ducks, fly fishing, a good joke and the occasional outing in his ’59 MGA. Before attending Mines, Swede served as a combat infantryman in the Pacific during World War II. At Mines, he was a member of Sigma Phi Epsilon. In 1987, Brother Arnston retired from a career with Amoco Oil and moved to Grand Junction, Colorado. It was there that he became active in the local Rotary club, participating in community activities and organizing its annual Christmas bell-ringing activities. Swede’s love of life was recognized throughout his lifetime and he received many honors and distinctions including the Victory Medal, Asiatic Pacific Service Medal, Good Conduct Medal, the Loyal Alumnus Award from the Sigma Phi Epsilon fraternity, and the Paul Harris Fellow Award from his fellow Rotarians. WWII Veteran / Doctor / Brother / Pharmacist Mate Third Class Ota Treville “O.T.” Graham, Jr., U.S. Navy (VA VA Eta / University of Virginia, ’49) died on this day in Richmond at the age of 83. “Dr. Graham graduated from Thomas Jefferson High School in 1943. He entered the Accelerated Program of the School of Pharmacy at the Medical College of Virginia (MCV) in 1944, before joining the U.S. Navy. He served in the Navy from 1944 to 1946, and was attached to the 1st Marine Division of the 7th Marine Regiment in China as a Pharmacist Mate, 3rd Class. He returned to Richmond in the fall of 1946, and entered the University of Virginia, where he was a member of the Sigma Phi Epsilon fraternity. He graduated with a B.A. degree in 1949. He received his medical degree from MCV in 1953, and then completed two years of family practice residency there. He was in private practice for 43 years, before retiring in 1998. He was an active member of the MCV Alumni Association, and served as its president for two years. He enjoyed a long affiliation with Retreat Hospital and the Home for the Daughters of the Confederacy. He was a member of the Sons of the American Revolution and All Saints Episcopal Church. Over the years, he treated thousands of patients, and will be remembered for his willingness to help others, his easy smile, and his gentle manner. He loved his family, his practice, his patients, the family cottage at Sandy Point, and gardening, especially taking care of his azaleas. On 26 JAN 2011, Brother / Sergeant John Cage, U.S. Marine Corps (OK Beta / University of Oklahoma ’97) and his wife welcomed John Austin Gage as the newest member of Gage family. Congratulations to Brother and Mrs. Gage! Recently Layla Grace Pike was born to Brother / Sergeant Rob Pike, U.S. Army (OK Alpha / Oklahoma State University) and his wife at Baptist Hospital in Pensacola, Florida. Rob says, “She came in at 9 pounds even, 19 3/4 inches long, and with blue eyes like her mother and very light brown hair. We think she’s gunna be a blonde...eek!” Congratulations to Brother and Mrs. Pike! From the Facebook group SigEps Who Serve, Brother Tristan McMorran (FL Zeta / University of Tampa ’07) writes, “Just letting all my brothers know, I'm shipping out for Coast Guard boot camp 22 FEB 2011. Eight weeks of fun and enjoyment in Cape May, NJ. Semper Paratus.” Best of luck, Brother! I am sure you will make us proud. On the 68th anniversary of the tragic sinking of the U.S. Army Transport ship Dorchester in World War II, The United States Navy Memorial and the Library of Congress' Veterans History Project will co-host a commemorative event to honor “The Four Chaplains,” a remarkable group of military spiritual leaders from different denominations who sacrificed their own lives to save scores of others during this fatal German U-Boat attack. Their story will be retold by keynote speaker, Brother / Captain Rabbi Arnold E. Resnicoff, U.S. Navy – Chaplain Corps (Retired) (NH Alpha / Dartmouth College) this Thursday, 03 February from 1200 to 1300 at the U.S. Navy Memorial at 701 Pennsylvania Avenue, NW, Washington, DC. The event is free and open to the public. Join other SigEp Patriots on Facebook (http://www.facebook.com/group.php?gid=5903232706) in the only group open to and comprised of ONLY SigEp Patriots who serve or have served in the U.S. military. Editors Note: As a number of you have asked I will note again that the SigEp Patriots effort is not a function of HQ/National. This is your organization and it is made stronger by your involvement. This is merely a fact, and any perception of an “adversarial tone” to this statement is on the reader. While I have not received any correspondence from Richmond on the topic, I am always open to discussion.